Buy any mode in Drake's Deception individually, including co-op. Attention adventurers: Uncharted 3: Drake’s Deception’s multiplayer mode is now available as free-to-play! 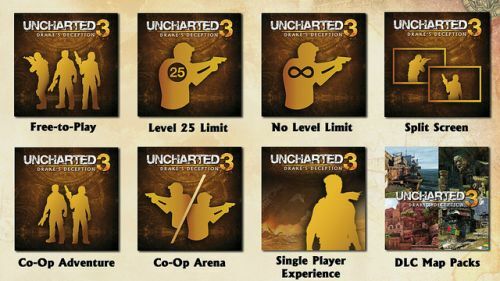 But if the multiplayer isn’t something you’re interested in, you can now buy any game mode within Uncharted 3 as individual purchases, or all together as a complete package. 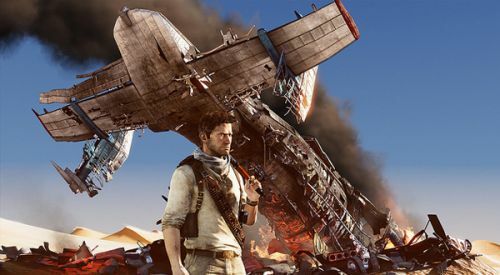 Naughty Dog is taking a stab at the new free-to-play business model, allowing for the Uncharted 3: Drake’s Deception multiplayer as available for free download. A slew of microtransactions have replaced the need for any sort of online subscription, granting new players their first 15 levels of complete access to the multiplayer mode free of charge (this includes level attained weapons, perks, and other unlocks gained through game cash). The interesting thing that we're doing with the free-to-play is: say you're at level fifteen and you've accumulated hours and hours of experience points; once you actually purchase the rank unlock – the level cap removal – your rank automatically hits the level that you would be at with the playtime you've invested. A few of the available microtransactions players can pay for, such as raising their level cap, removing all caps completely, or character skins, will be ready for purchase instantly. We’re sad, however, to hear that all co-op content found in Uncharted 3 will not be included in the free-to-play version. Instead, the “Co-Op Arena” and “Adventure” segments of the game are now split into separate groups of premium DLC. Still, if anyone wants to avoid microtransactions altogether, the “Game of the Year” edition of Uncharted 3 will be available for digital download as well. We've looked at some models for other games, though nothing really played too great an influence on us," Cogburn said. "We kind of just broke down the game a la carte. You can get the single-player, or the competitive, or the co-op. Or you can get the 'Game of the Year' edition for all of it. The idea behind trying these different options – or business models, arguably – is we're just trying to see what people might gravitate to. We're going to be keeping a close eye on this and it will be interesting to see what type of model ends up being the most popular. Make sure to have around 4.8GB worth of data space for the free version of Uncharted 3, now ready for downloading on the PlayStation Network. Tell us what you think of their new model in the comments below! Page created in 0.3614 seconds.